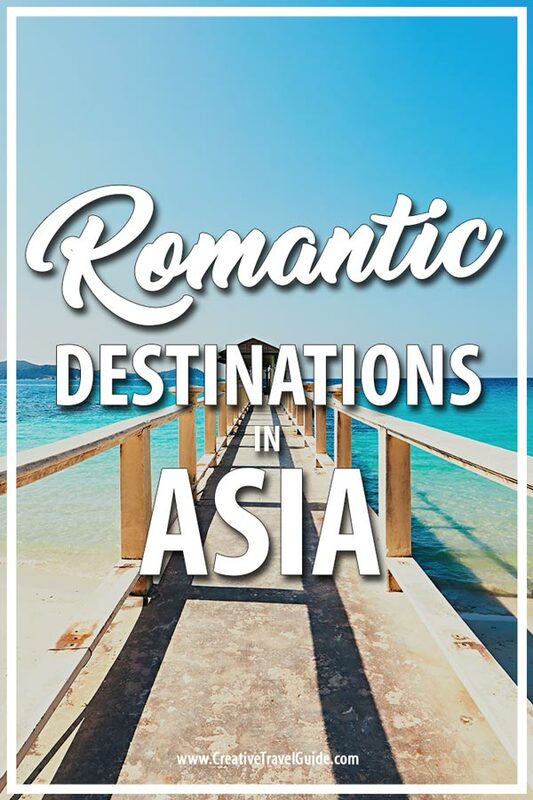 Planning a romantic trip to Asia is exciting and fun but where to start? There are so many different types of places to visit in Asia, so many varied experiences to have. 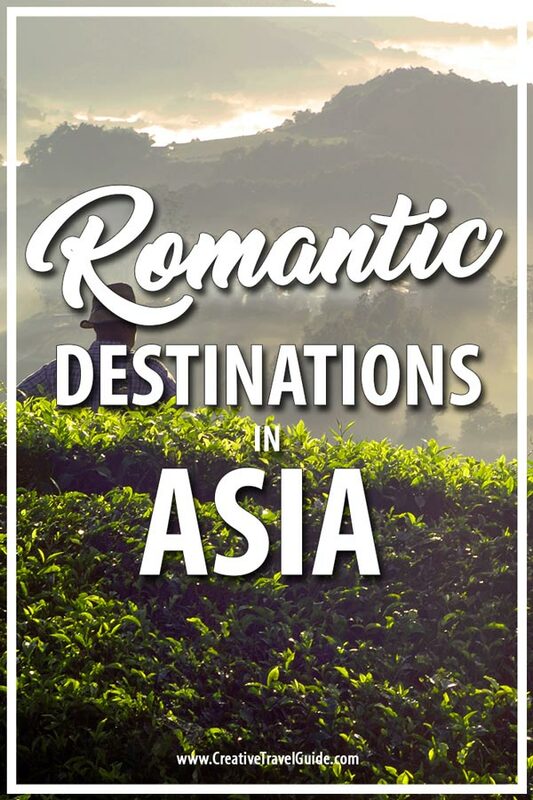 So we have put together our favourite romantic getaways in Asia. Plus we give you advise on budgets, things to do and romantic hotel getaways in Asia. So get planning your honeymoon! Bordering India, Sri Lanka is rich in culture and history. It is far less crowded than India and is home to breathtaking beaches, tropical paradises and some of the most perfect hotels in the world. Things to do: Head to Bentota for a romantic lagoon area where the river meets the sea, visit Mirissa for a secluded beach away or enjoy a Sri Lanka Food Tour. The Sinharaja Rain Forest is a perfect choice for those nature lovers whilst the Central Highlands are perfect for hiking couples. Spend time in Yala National Park to see the world’s largest leopard or enjoy the best views of Sri Lanka in Nuwara Eliya. Check here for some perfect honeymoon packages in Sri Lanka. No romantic destination list is complete without the mention of Bali – the perfect honeymoon destination. Think beaches, private villas, volcanoes, rice fields, beachside huts, cheap cocktails, artistic workshops, ancient temples, hippy pants (that I just can’t get enough of), scuba diving and honestly, the list is endless. Things to do: Head to the Great Banyan Tree and make a wish, take a helicopter ride over the islands, watch the sunset at Jimbaran Bay or watch a beachside move at Karma Beach. Nothing beats walking through the Tegalalang Rice Terrace; simply stunning. With bustling cities and beautiful beaches, you can see why Malaysia is one of the most fast growing tourist destinations in South East Asia. The variety allows couples to experience a wide array of experiences without too much travel time. Things to do: Whilst you are in Kuala Lumpur, make sure you check out some of the best street food in the country at one of the many night markets. Also, enjoy a meal and view at a high rise restaurant or indulge in an afternoon tea or three! Outside of the city, you can enjoy a sunset at the peak of Broga Hill, a skydive in Langkawi, relax in a water bungalow in Mabul or explore Penang’s nightlife. When we visited Singapore, I was amazed at how clean everything was. But that is not all the country has to offer. 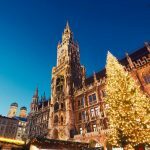 With some of the world’s best gardens, zoos and even a Universal Studios, there are lots of things to do here to keep couples busy on their trip. Things to do: Sentosa Island is the place to be for those wanting to enjoy Universal Studios and the surrounding resort area. Marina Bay Sands and it’s surrounding area offers picturesque sunset walks and a host of museums, restaurants and bars. Not forgetting the culture Singapore has to offer; visit the temples, enjoy Chinatown and walk around the streets of this brilliant city. Yes, China is making it’s way onto this list because I am completely biased but love it! We were surprised to find there were so many romantic experiences to enjoy here and, with expats and lifestyles developing rapidly, you will find all the conveniences you are looking for in China too. Things to do: Head to Shanghai to enjoy a romantic dinner and stroll along The Bund; taking in that iconic view of the cityscape. You can also enjoy Shanghai Disneyland whilst you are here too. For a slowly paced experience, head to Ping’an Village and experience the jaw-dropping Longji Rice terraces – by far my favourite travel experience so far. 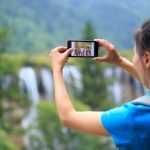 Spend time with the adorable pandas in Chengdu, take a cruise along the Yangzte River together, visit the Great Wall and even head to the seaside in Qingdao; home to China’s most popular bear Tsing Tao – you can buy beer by the bag! Known for it’s beautiful islands and off-the-beaten-track treasures, Thailand has been the honeymoon destination for many couples over the last ten years and more. It can be idelic but also offers more than just a beach. Things to do: You can’t escape bustling Bangkok on any visit to Thailand; mostly because you often arrive into Thailand via the capital. Enjoy the floating markets of the city, eat street food across the country and relax on one of the many beaches. 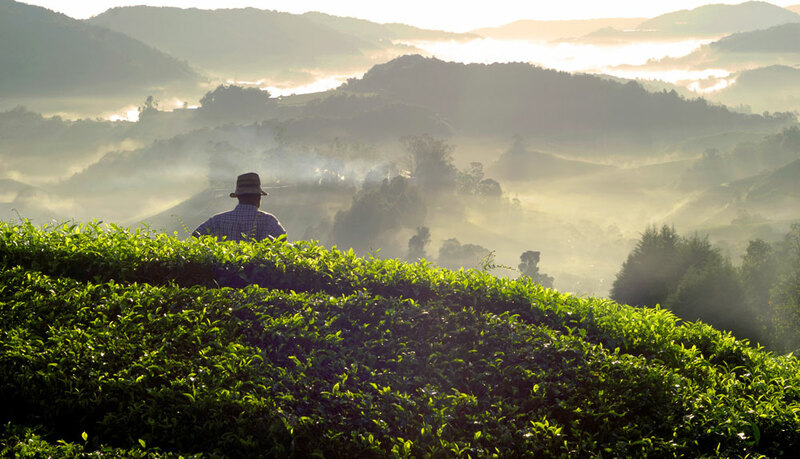 Head up north and enjoy Chiang Mai and it’s surrounding nature and forests. 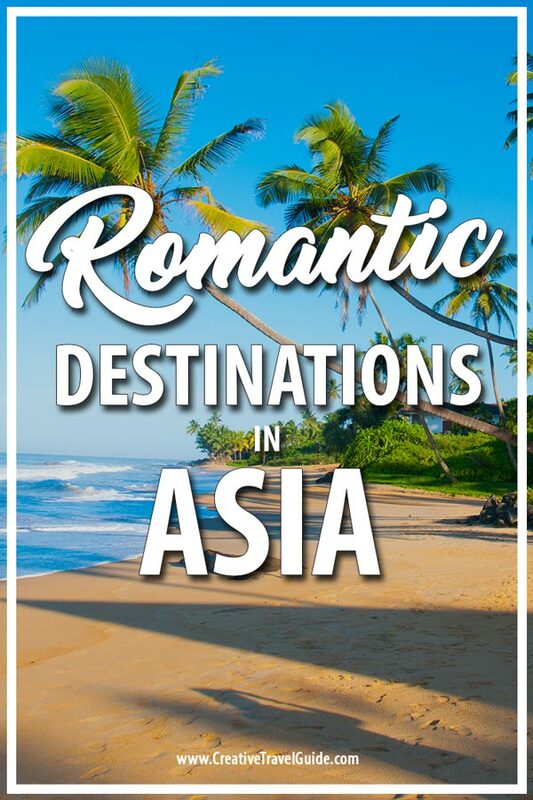 These are our favourite romantic getaway destinations in Asia – tell us about yours in the comments below! Looking for more inspiration? Find our the most romantic destinations in the world, chosen by travel couples.